WDL is designed to be easy to use--"human readable and writable" is our promise. You should think of building a pipeline with WDL like building with legos. The final product (like that full pipeline script I linked before) can look quite complex, but it is a simple matter of going step by step with your WDL building blocks. I would recommend that you get started by reading our user guide. By reading through and clicking to the next article at the bottom of each page, the user guide will introduce you to all the pieces you can use in your lego-pipeline--from what pieces you'll need all the way through how to test & run your pipeline once you've finished it. Once you've got a handle on what WDL can do, head over to the tutorials section. 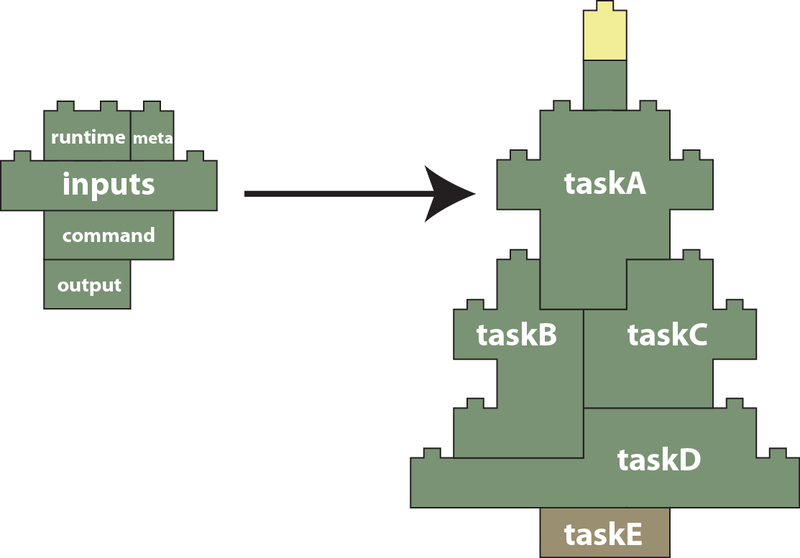 In these sequential tutorials, I walk you through how to use those building blocks to implement a small part of the GATK pipeline. Each tutorial builds on the previous one to help you learn to use WDL in new ways without repeating all of your earlier work. You've read the user guide and you've run through the tutorials; you now have all you need to get started writing your very own WDLs. If you get stuck on something, you can always see how we do things in these real WDL scripts. If you have a more specific question, don't hesitate to post it on our WDL forum. Happy building!